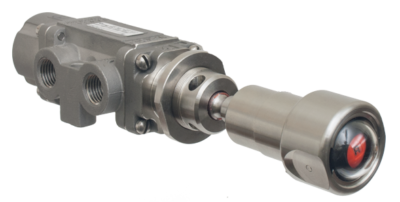 Versa’s new 403RG option for the V-316 Series valve offers pressure indication on a manually operated, 3-way valve. 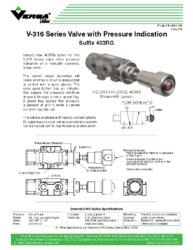 The valve’s visual indication will reveal whether a circuit is pressurized or vented with a quick glance. The valve palm button has an indicator that signals the pressure condition of port A through a red or green flag. A green flag signals that pressure is present at port A while a vented condition signals red. The valve is available with Versa’s lockout options. By applying a lockout option a pneumatic system can be locked out for maintenance or shut down. For more information, please contact us at (201) 843-2400 or sales@versa-valves.com .